In the realm of accessories, there are seemingly limitless options that you can choose from to kick your outfit up a notch. From stunning leather purses, to soft and vibrant pashminas, to vivacious patent leather heels ­– the possibilities are endless! The ruler of all functional outfit add-ons though, in our opinion, may just be the leather wallet. 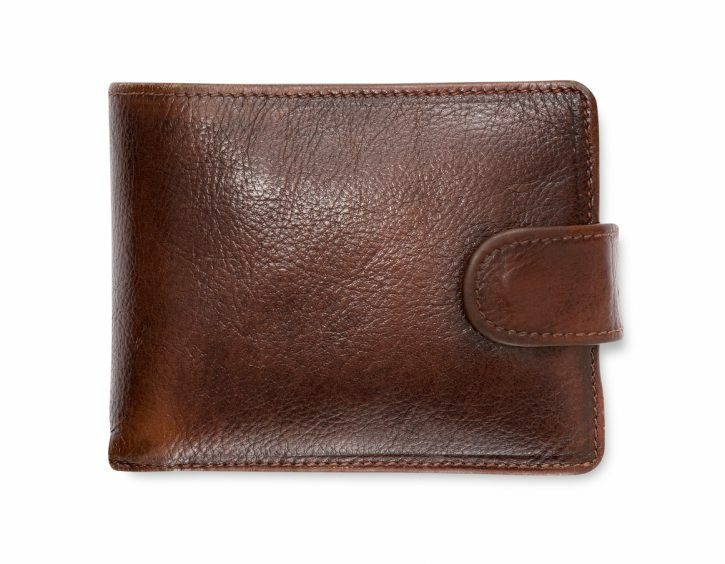 This outfit staple far exceeds its other material counterparts as the most stylish, durable, and classic form of wallet. Whether you’re enjoying an evening of wining and dining on the town, or even just simply attending a casual business lunch, you want to ensure that you always present an image of sophistication and elegance. Reaching for a fine leather wallet to pay the cheque is by far one of the smoothest ways you can achieve this, every time! One of the most durable types of leather, full grain leather stands out from the pack due to the fact that it has been processed minimally. Variety is the spice of life, and full grain leather’s unique colour and patterns make it the perfect option for someone who is looking for a one of a kind wallet! This is known as the top grain leather. Thinner than full grain leather, it possesses a distinct pattern and is known to come in a variety of colours. However, due to it’s higher likelihood of experiencing wear, we recommend only using your split grain leather wallet on occasion. This part of the leather is known as the split leather. Size: Have you ever heard of those stories where someone experienced spinal issues due to sitting on their overly large wallet for a long period of time? 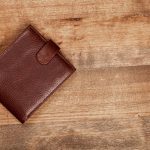 While those instances may occur less frequently, a large wallet isn’t necessarily the sleekest fashion option. 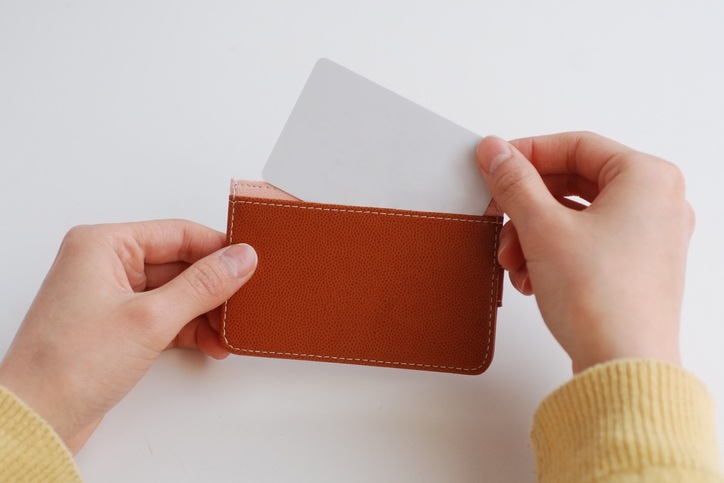 We recommend finding a wallet that fits comfortably in your pocket and boasts both rounded corners and a slim fit. Storage: You’d be hard pressed to name an accessory that blends form and function more each than a wallet. Simply put, you’d be a mess if you had to dig through your pockets every day to get your debit card! Therefore, it’s important to find a wallet that has just the amount of storage you need to go about your daily tasks. On that note, we recommend keeping a coin jar at home, so that you aren’t carrying around a bulky wallet to fit all of your loose change! Think – efficiency! Miscellaneous Objects: Your daughter’s first-grade photo, your coffee shop stamp card, and all your receipts don’t usually come to mind when you’re thinking of which type of wallet you’d like to get. However, these miscellaneous objects are fundamental parts of a wallet, and can easily become disorganized or lost if they don’t have a distinct home within it. Therefore, we urge you not to forget about these outliers when you’re picking out your fabulous new leather wallet! As with all things in your closet, your wallet is an extension of you. Our clothes are the first impression we give out that mirror our inner world. Investing in solid pieces that are known for their durability and style, such as a fine leather wallet, is a surefire way to impress the masses! At Love your Leather, we understand the importance of ensuring your leather always looks as good as new. We offer leather cleaning services in Toronto and Southern Ontario. To make things all the more convenient for our customers, we offer free pickup and delivery on all of our services in Southern Ontario, and also promise a 100% money back guarantee! Call today to get your free quote!